LOS ANGELES -- It felt like an egg race -- someone balancing an oval object on a spoon and scurrying to the finish. It wasn't a between-quarters event sponsored by the American Egg Board, though. The Los Angeles Clippers sprung back from a disheartening Game 1 loss, claiming a 99-91 wire-to-wire victory over the Utah Jazz in the Western Conference playoffs on Tuesday night at Staples Center. But for much of the night, a double-digit lead seemed tenuous and laced with trepidation. With the series tied 1-1, the clearest indicator of which team has control might lie in the pace -- a very Utah-like 90.3 across the first two games. The Clippers have held the lead for much of the series, but the Jazz have maintained the tempo. By all appearances, Game 2 had the aesthetics of a convincing Clippers victory. The LA triumvirate of Blake Griffin, DeAndre Jordan and Chris Paul combined for 63 of the team's 99 points. Griffin and Jordan continuously bashed and battered their way to the rim, and Paul delivered his final seven points in the deciding quarter. Luc Mbah a Moute succeeded in his task of stymieing Utah's Gordon Hayward to a sub-50 percent shooting game for the second straight time (12-of-33 from the field for the series). And yet a subtle issue developing in the West's 4-5 matchup is that "small ball" is a moniker ill-fitted for what the Jazz have been forced to employ. A series that was expected to be a battle of size on the interior has been redistributed to the perimeter. And while the the Jazz have done their best to leverage their perimeter weight, the Clippers repeatedly struck the sweet spot. LA's plus-22 differential in points in the paint is what many expected would happen after Jazz defensive stalwart Rudy Gobert fell in the opening moments of the series. "I thought we did a good job of ... getting the ball inside," Griffin said. "It was a point of emphasis. But yeah, when we're hitting outside shots and putting pressure on teams inside, it is another level, but those games aren't always going to happen. I thought tonight what made the difference is defensively. We just made it tough for them and made them take the shots we wanted them to take." With Joe Johnson the smallest Utah wing at 6-foot-7, length and size have been smothering LA's 3-point shooting, a huge key to its offense. Jamal Crawford and JJ Redick have struggled to a 1-for-14 start from deep in the series. "You know, you're giving something up, and the pressure that they put on the rim was significant tonight," Jazz coach Quin Snyder said. "We were not helping off [Redick and Crawford]. It's just there's a physical advantage around the rim. "I think some of it is them. I hate to -- like we're doing a great job on Redick and Crawford. All you'd have to do is go back a couple games and look what they've done to us. I think there's an awareness that our guys have. But they're both really good players, and hopefully we can -- I won't say get lucky, but hopefully we can kind of continue to make it hard on them. But realistically both of them are going to break out at some point." The Clippers made the adjustment to involve Jordan more in Game 2. It led to a win, but it was the smallest margin of victory over the Jazz out of the four wins this season. The next step for the Clippers will probably involve what Snyder is expecting, as Redick and Crawford combined to average 27 points per game against Utah in the regular season. And as Hayward pointed out, the Clippers will need to be better after the energy of the opening tip-off fades. LA took its largest lead of the game with 11 minutes, 36 seconds left in the second quarter, at 31-18. The Jazz outscored the Clippers from there, 73-68. It will be the Jazz, not the Clippers, with the home-crowd energy in Game 3 Friday night. 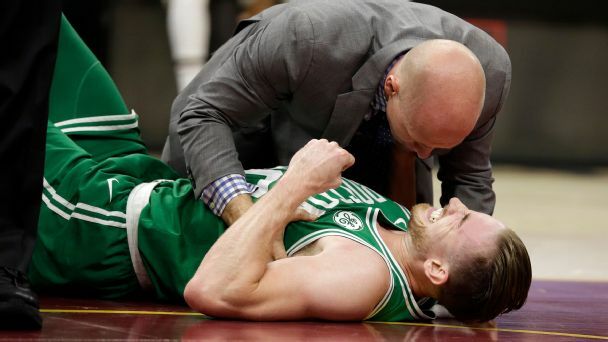 "We definitely have to be better in the first quarter," Hayward said. "But besides the first quarter, we played them pretty even. We need to figure that out."